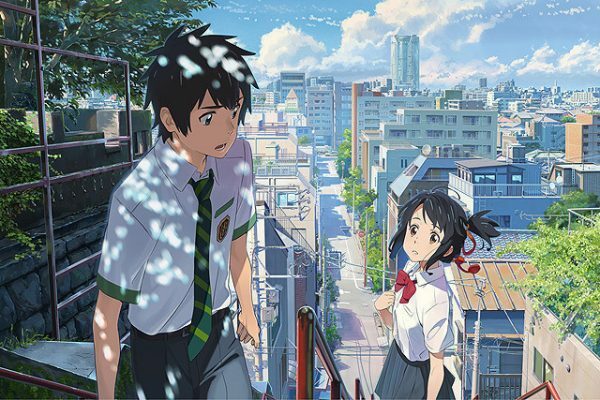 At last I watched the movie “Your Name” with my friend. Since most of my friends had already watched it, I wanted to enjoy it too. It was a nice movie. I didn’t expect I would cry so much. I can’t tell you the story because I don’t want to be a spoiler. I want to be a good looking teenage boy in Tokyo. I felt like I became a high school student while I was watching the movie. Moreover I want to become a good looking teenage boy living in Tokyo and live a stylish life now. Why do I think so? Because I was a high school student in rural area in Chiba. This movie makes people feel young and want to be a high school student. It is popular for devoted fans to visit the locations appeared in the film. Actually I think it would be fun to visit those spots and try to relive the scenes. This movie has a very encouraging message for the singles that there is always a special someone living somewhere in this world for you. You just have to find him or her. You just don’t know who the person is. I said this to my friend who is single and she just smiled. I really envy singles because they still have the chance to explore new relationships and to experience the excitement of first date with their future partners. I’ve been having a stomachache for a month. 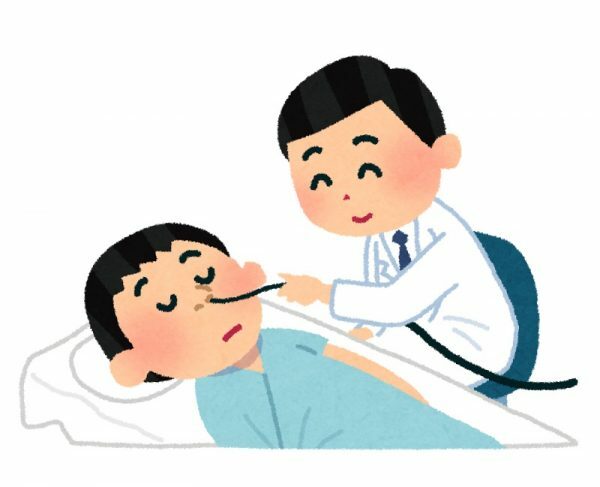 Then I went to a doctor and got a gastroscopy exam. I was nervous the day because it was a first time for me to get a gastroscope inserted through my nose. It was scary and painful but it was better than I thought. The result was not so bad. There were some injuries in my intestines. The doctor said it may be caused by stress. Does it mean my job is my stress!? Maybe yes. However I enjoy my job. Anyway I was relieved that it was not serious. After my exam, I had a placenta injection. I’ve been interested in it for a long time when I heard it from my friend. 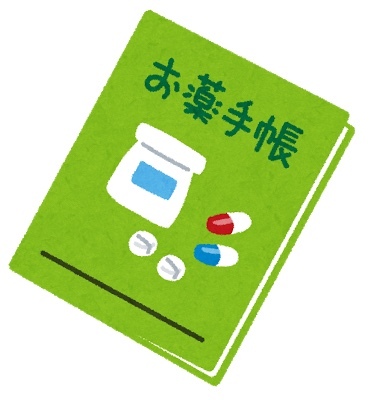 It is good for health and beauty. I hope I will be healthier and prettier. I mean, who doesn’t? It was funny because I was making this wish at the same time I picked up the stomach medicine from the counter. I’ve got a happy message from a friend. He told me he proposed to his girlfriend yesterday and he will get married to her next spring. This evening, I got a package from another friend. I opened it and it has some souvenirs from Hawaii. 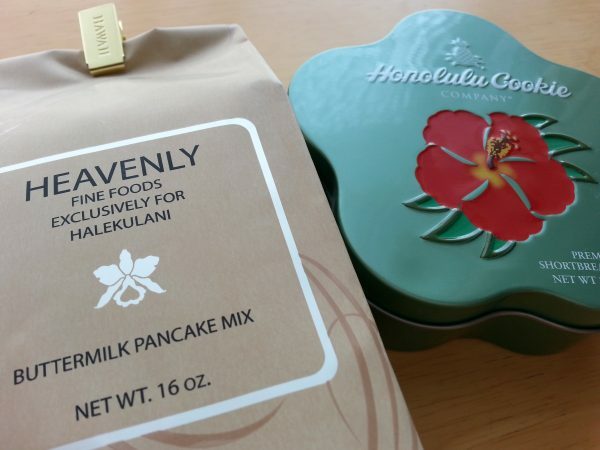 HALEKULANI’s pancake mix and Honolulu cookies. What lovely presents! They came from my friend who just had a wedding party in Hawaii. When I opened the package, I could feel the happiness of the wedding coming out from the box and it filled my room. I could almost hear the laughters at the ceremony. A day with two fabulous news! Friends’ happy news make us happy too, don’t they? #920 Have you tried the “BAKE” cheese tart? 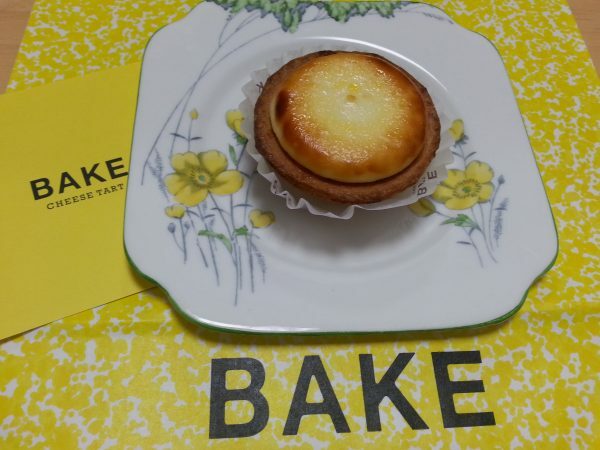 Do you know “BAKE”, the cheese tart shop? I didn’t know the shop until my friend took me last week there. 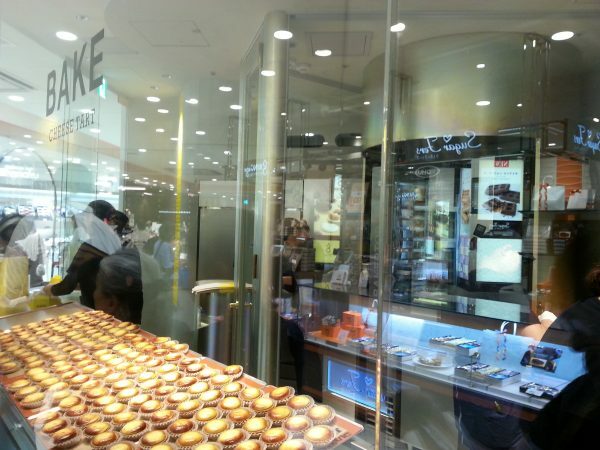 We went to the Abeno HARUKAS branch to buy cheese tarts. When we got there, we were given a numbered ticket and had to wait in line. Each customer can only buy up to 12 cheese tarts. Each cheese tart is around the size of my palm and costs 216 yen. I bought 12 cheese tarts. The tarts can be preserved for 4 days in the fridge, or one month in the freezer. It took about 20 mins to buy them. But I was lucky. I heard it usually takes longer than this. After I got home, I ate one tart and ate another one after dinner for dessert. It was very delicious and I like the smooth and soft texture. Next day, I ate a chilled tart from the fridge. It was good but the texture was not soft. Then on another day, I ate one that was reheated by microwave. It became really soft, almost melted. And I enjoyed it. In my opinion, however, I think it is the best on the day I bought it. Have you tried the “BAKE” cheese tart? Do you like it fresh from the oven, chilled, or reheated?